Posted March 16th, 2014 by Abbie Steele. A passionate performer since childhood, Abbie Steele is an actress based in London, UK where she is pursuing a career focused both on stage and on the screen. Abbie, who is originally from a farming family in Cumbria, won a scholarship with Razzamataz Theatre Schools in 2008, before gaining a BA (Hons) in Drama and Performance Studies at the University of Worcester. In 2015 she played supporting role, Amy, in Greenway Entertainment’s film Essex Boys: Law of Survival which was released into various cinemas across the UK and on DVD internationally. Leaving her farming roots behind, Abbie has built a solid reputation as a dramatic actress. 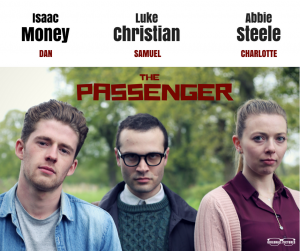 In 2018 she starred as leading role Charlotte in Guildhall Pictures’ upcoming thriller ‘The Passenger’ (2019) alongside rising actors Isaac Money and Luke Christian.